I started with a recipe I found on Food.com. Once the pot pie filling was made I tasted it and I was pretty disappointed in how bland it tasted to me. I decided that this recipe was just not going to cut it. It's nothing personal against it's creator I just needed more pazazz! Or as my Granny always said it really needed “doctoring up”! I looked through a ton of recipes to see what they were adding and I added a little of this and a little of that until I got potpie filling that actually has a great flavor! 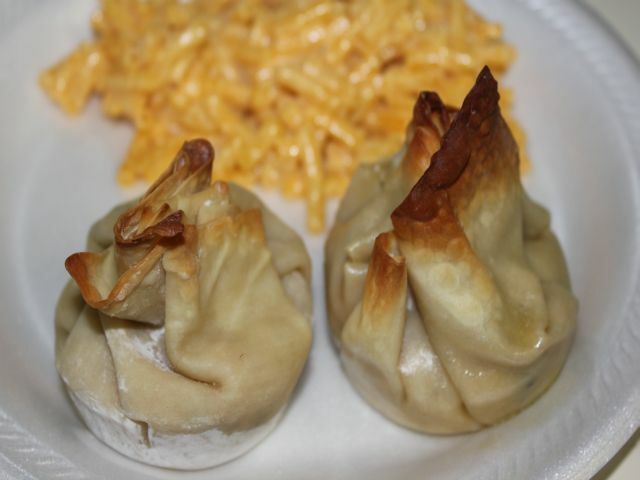 I made these pot pies in egg roll wrappers so they would turn out crisp with a gooey filling. 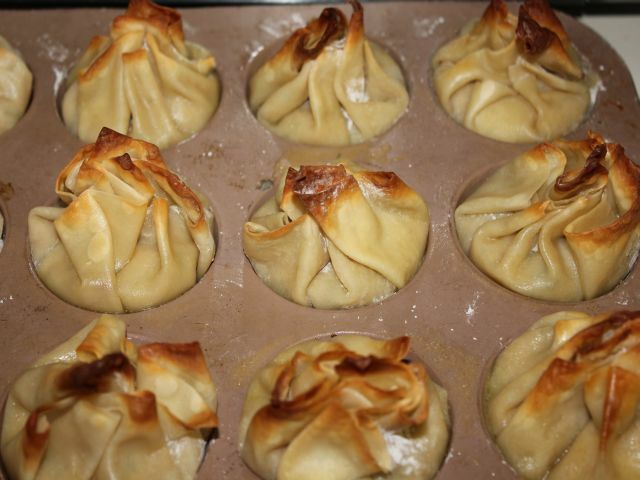 To shape the pot pies I used cupcake pans. Excellent and fun! Sauté onion, celery, carrots and potatoes in margarine for 10 minutes. Add flour to sautéed mixture, stirring well, and cook one minute stirring constantly. Add broth, white wine, and half and half. At this point I allowed the filling to cool and I refrigerated it overnight. This allowed all the spices to mingle and get happy. You can certainly skip this step. I was using this as a make ahead meal. Using a cupcake pan take individual egg roll wrappers and place them in each cup laid out one at a time and full each cup with 1/4 cup of mixture. Bring each egg roll wrapper corner to the middle and press together. They will seal up for the most park while they bake. When the are golden brown they are ready! !